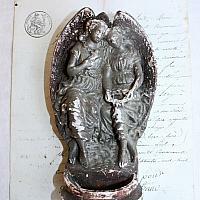 A sweet Antique French Plaster of Paris or Chalk Ware Holy Water Font for the bedroom of a child. 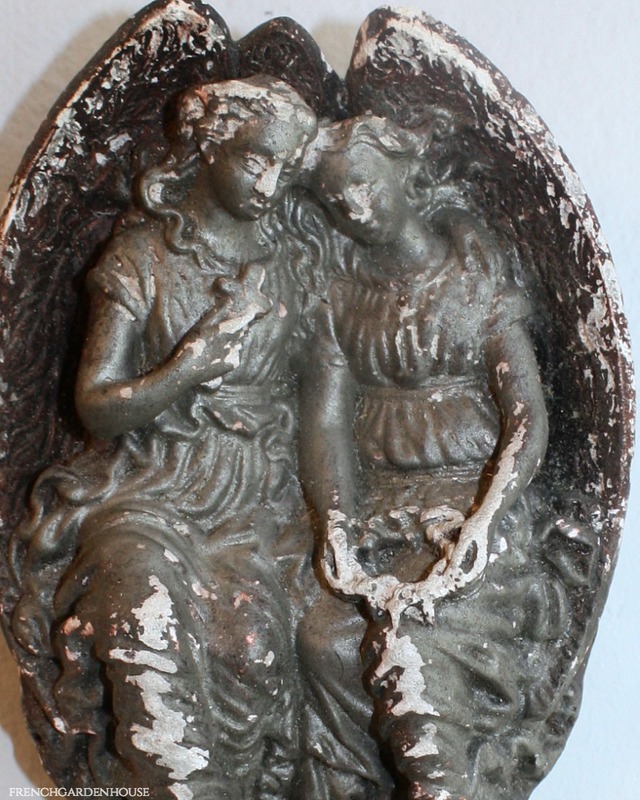 Little Holy Water Fonts like this were given as a gift to a godchild, or grandchild, on their Christening Day in the late 1800's, early 1900's, and continue to be gifted. 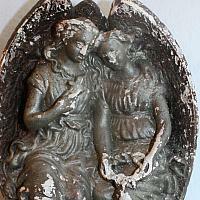 This decorative font has two angels side by side. It has an ornate water font. 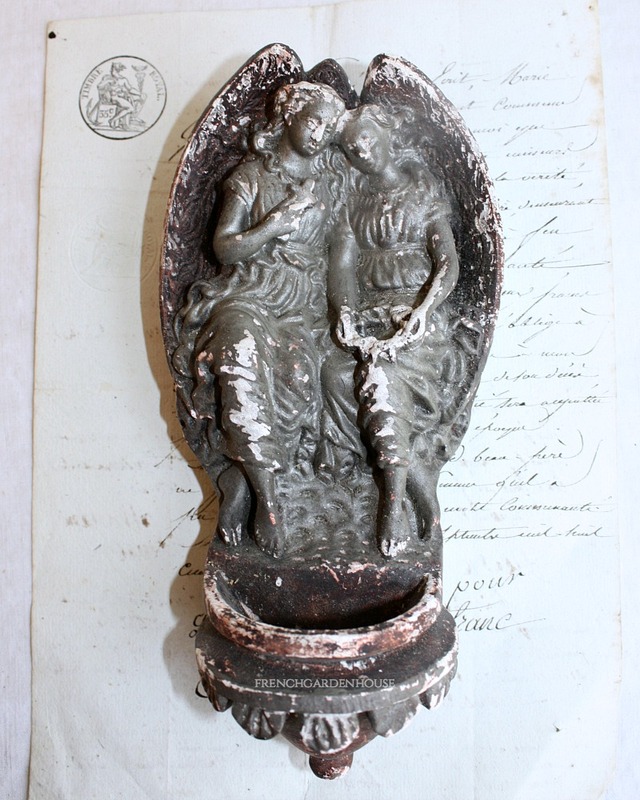 Bought in France, this has plenty of wear and patina, as shown, the original silver paint has worn, a shabby look that is very charming but not for you perfectionists! Has the original metal hanger on the back.